Over the past decade, new and emerging cell-based medical technologies have been developed to manage and possibly cure many conditions and diseases. 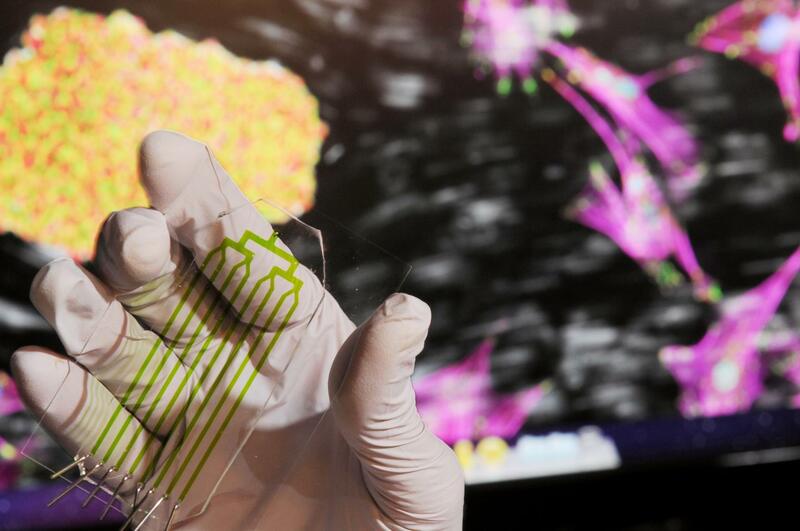 In 2012 alone, these technologies treated more than 160,000 patients. Before these treatments can be more widely available, however, the cell therapeutics community will have to develop the capability for advanced, large-scale manufacturing of high-quality and consistent living cells. To advance that goal, the Georgia Research Alliance (GRA) and the Georgia Institute of Technology (Georgia Tech) have launched the National Cell Manufacturing Consortium (NCMC), an industry-academic-government partnership that recently released the National Roadmap for Advanced Cell Manufacturing. Establishment of the consortium and development of this 10-year national roadmap was sponsored by the National Institute of Standards and Technology (NIST). The roadmap was announced June 13 at the White House Organ Summit. Development of the roadmap required strong support and involvement from more than 60 representatives from industry, government and nonprofit organizations. While research has demonstrated the value of cell therapies – using adult stem cells and immune system cells – improvements are needed to make these cells broadly available to the medical community. Established in 2014 through a NIST Advanced Manufacturing Technology (AMTech) grant, the NCMC is an industry-driven consortium including cell manufacturing experts from industry, academic research, clinical good manufacturing practice (GMP) centers, government agencies and private foundations. Georgia is positioning itself to be at the forefront of this new and growing market with its research institutions playing a vital role in the consortium. Researchers from Emory University, Georgia Tech, and the University of Georgia are contributing to the ongoing work of the NCMC. The Atlanta-based Marcus Foundation recently made a major gift to Georgia Tech to establish the Marcus Center for Therapeutic Cell Characterization and Manufacturing (MC3M). The new center, the first of its kind in the United States, will develop processes and techniques for ensuring the consistent, low-cost, large-scale manufacture of high-quality living cells used in cell-based therapies. For more information on the National Cell Manufacturing Consortium and to view the roadmap, visit http://cellmanufacturingusa.org. The Georgia Research Alliance (GRA) works to expand research and commercialization capacity in Georgia’s universities to recruit world-class talent, seed new companies and transform lives. For over twenty-five years, GRA has worked to strengthen the university research enterprise in Georgia by working in partnership with the University System of Georgia and the Georgia Department of Economic Development to create the companies and jobs of Georgia’s future. Visit http://www.gra.org for more information. The Georgia Institute of Technology is widely regarded as one of the world’s top technological research universities. Ranked 7th among public universities by U.S. News & World Report, Georgia Tech has more than 25,000 undergraduate and graduate students, and conduced $726 million in research during 2014. Visit http://www.gatech.edu for more information.